Pictures, pictures, everywhere. Did you know that Instagram is quickly becoming the most popular social media outlet out there today? Only taking second place to Facebook when it comes to audience outreach, Instagram allows users to engage in both images and content, setting it apart from its social competitors. And since most everyone nowadays owns a smartphone, this means most everyone has a camera on said smartphone, and smartphone + camera = ability to use Instagram! So, if you haven’t already, should your business hop on the Insta-train? The answer is #yes, of course! Businesses of all kinds have achieved a massive amount of success solely from having an Instagram account (like all of these companies listed here and here), and because using visual content is currently the most popular strategy when it comes to promoting brands via social media outlets, this powerhouse app continues to prove that it can effectively communicate with its audience more than any other, and is an especially useful tool for marketing companies. There are over 500 million active accounts on Instagram, placing it far ahead of Twitter and Snapchat. 34% of Internet users use Instagram. U.S. internet users spend approximately 12 billion (BILLION!) minutes on Instagram each month. Instagram users engage with brands 10 times more on Instagram than they do on Facebook. According to Shopify, 93% of buyers cited “visual appearance” as the main reason for purchasing decisions. Over half of all millennials use Instagram every single day. 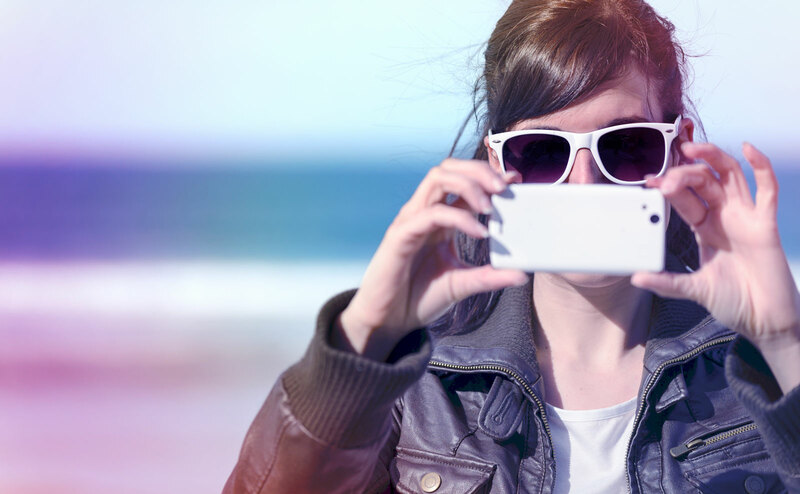 54% of those millennials bought products after seeing them on Instagram. In 2017, it’s predicted that 70.7% of brands will use Instagram. Social Media channels have also become prominent in the Search Engine world, too, with SEO now including the search that occurs on these outlets. Companies expanding their different forms of SEO strategy outside of traditional content creation as well as outside of major search engines (such as Google or Bing) have a greater chance to generate more traffic than companies that don’t do this, and Instagram has its own special form of a search engine: Hashtags! (hash-tag (noun): a word or phrase preceded by a hash or pound sign (#) and used to identify messages on a specific topic). The more relevant #hashtags you add, the more often that users can find you, follow you, and connect with your brand. It’s helpful to research certain hashtags if you are unsure of their meaning, too – you’re allowed to use up to thirty. As important as Instagram’s immense popularity and rapid rate of growth is, the overall idea of the app itself is brilliant. In such a simplistic approach, it allows your business to easily post aesthetically pleasing pictures that reflect your brand’s personality and lifestyle. Your Instagram is your story and you write it through photographs (#SoArtsy), and in this way, you’re able to reach out, relate, and connect to your audience in a way that other social media outlets cannot do. Mondays and Thursdays are said to be the most popular days to post and drive more post engagement. Plan a blueprint ahead of time to what pictures you are going to post and the content that goes along with it. Colorful pictures – according to Shopify, 85% of buyers said that color was the main reason for purchasing a specific product. Social Media Campaigns, such as contests, promotions, giveaways, etc., to give an interactive experience to your audience. Plus, who doesn’t love to get free stuff?! Check out our favorite Insta-worthy moments.